I don’t know about you but I totally live for summer weekends! They are either really busy, packed full of time with family, friends and events or laid back by the pool/at the lake. Either way, I am one happy girl. 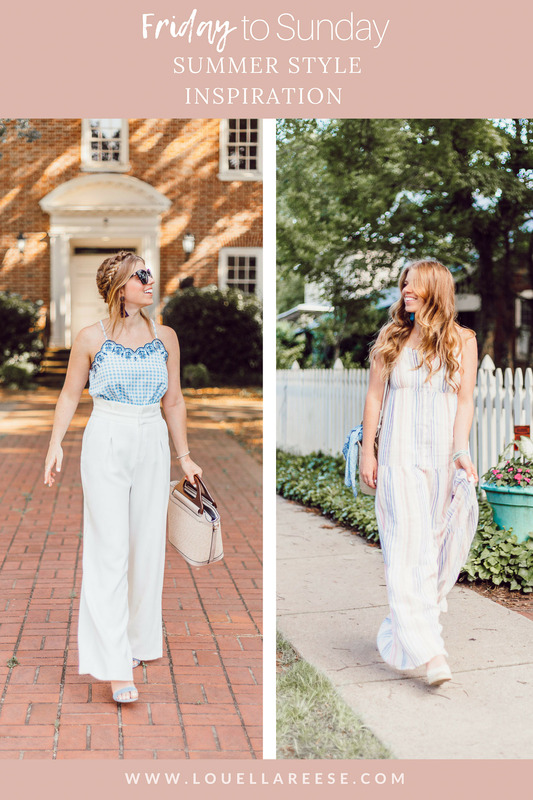 So with that said, I thought it would be fun to share two looks that could totally take you through a full summer weekend! 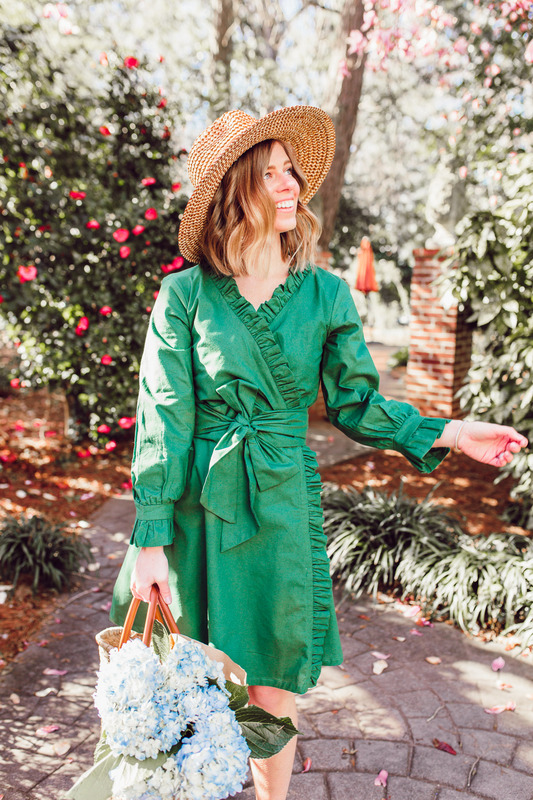 This first look is perfect for a summer Friday or Saturday. It’s comfortable, laid-back, and could easily be dressed up or down. 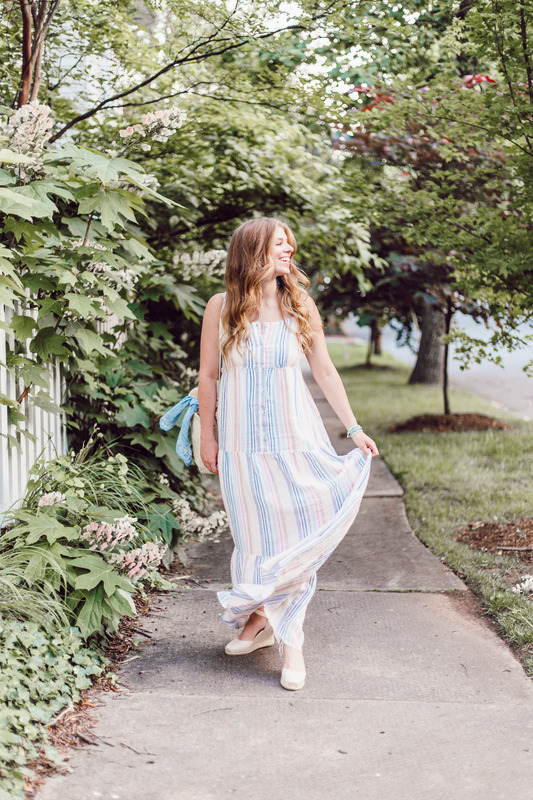 I’ve styled it in today’s post for an easy summer date night or grabbing dinner with your girls. It would also work into Saturday afternoon for a baby shower, bridal shower, or birthday brunch/lunch. 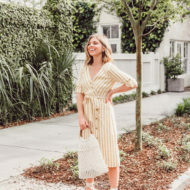 This striped linen dress is seriously the comfiest, softest piece. So breathable and makes a statement without being too bright or loud. This look to me screams church service and brunch. Are you with me? Like if you see me next Sunday, there’s a 99% chance I’ll be wearing this combination to church. With French toast and a mimosa to follow at one of our favorite local brunch spots. 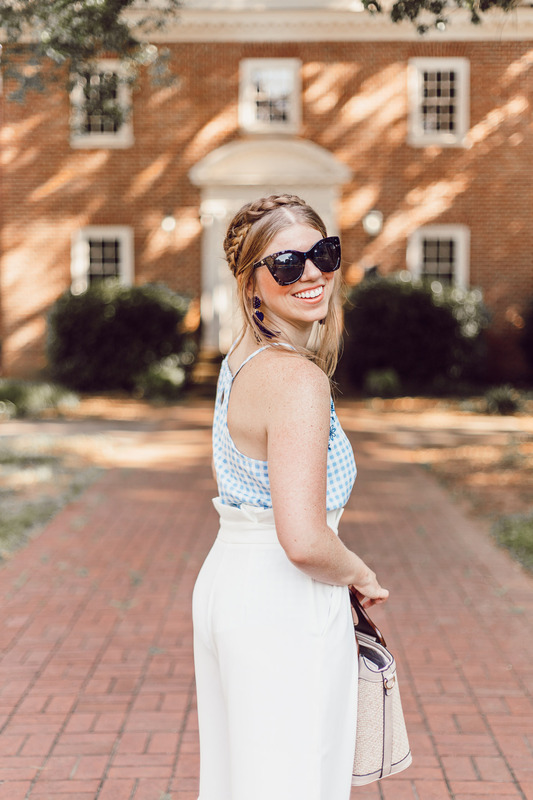 This gingham tank is the sweetest little tank and is one of those pieces you can wear a million different ways. 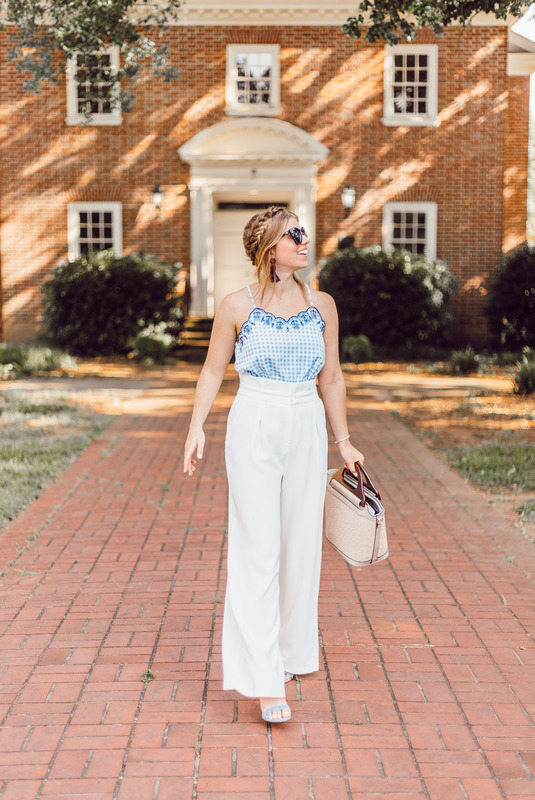 While the wide leg pants up the chic factor and immediately dress up the tank. 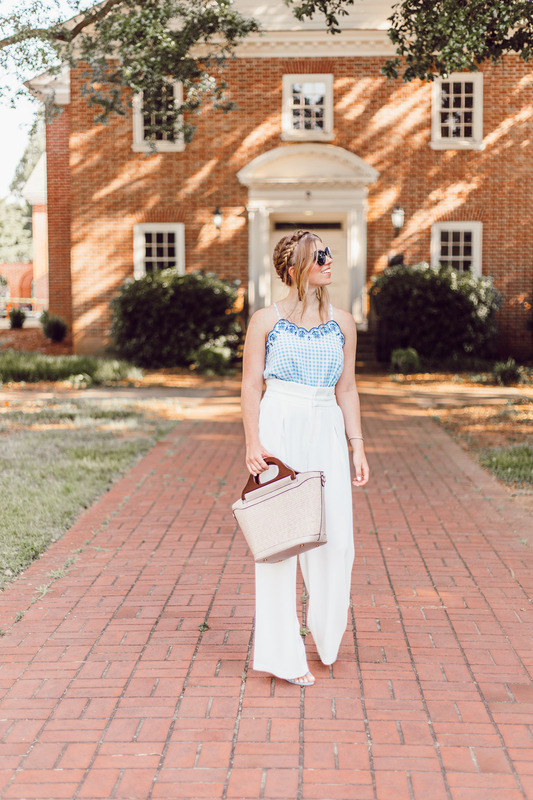 If you don’t have a pair of wide leg pants for the summer season, I highly recommend scooping up a pair. They are FABULOUS for the summer heat, as in they allow the breeze to flow in and out. And they aren’t all tight against your body. 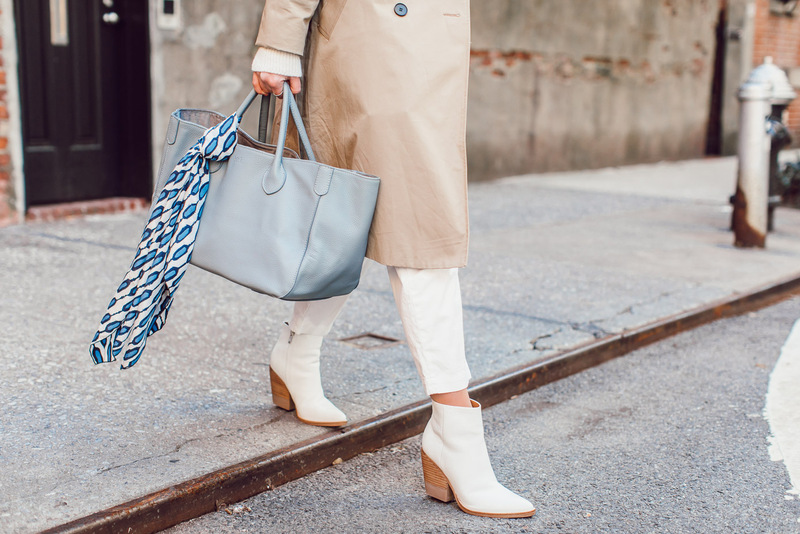 White is a great option for the summer season! So which look is your favorite? Friday/Saturday’s most laid back look or Sunday’s dressed up brunch ready look? I love both outfits, the striped dress would be perfect for an upcoming bridal shower! I went to a baby shower a few weeks ago and this would’ve been perfect! The second outfit is great for a fancy Sunday brunch! Thank you Renee! I completely agree with you gal! I love both outfits, but the second outfit definitely says church and then brunch! I love the white pants with the gingham top! Summer weekends are the best!!! I love each of these looks!! I couldn’t agree more gal! Thank you! 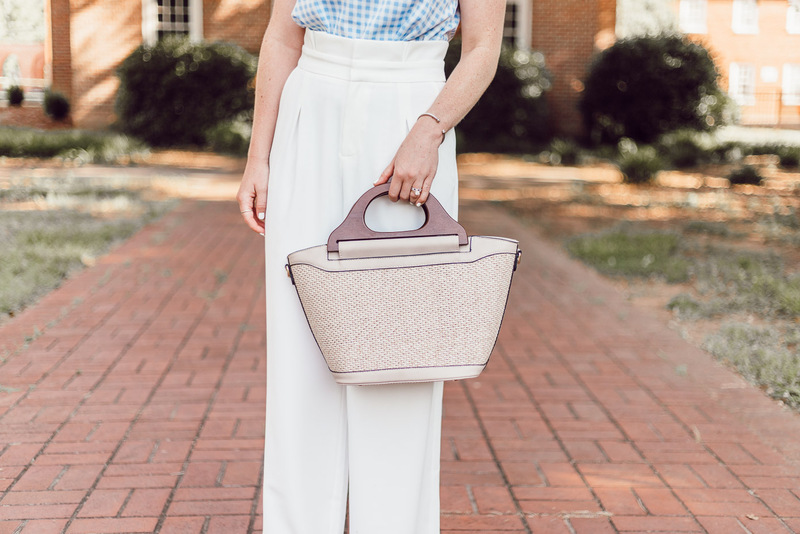 I love both outfits but I think my favorite is the gingham top with those white pants! You look darling in both outfits though! Thank you Belle! You’re so sweet gal! This is absolutely gorgeous – loving both outfits, you look stunning and I just love the photos, they’re beautiful! Aw thank you Layla!! I really appreciate it gal. This maxi dress is absolutely beautiful! I LIVE in dresses like this during the summer! Gorgeous photos! Thank you Ashley! Yes girl, I am right there with you. They are the best for the heat! Aw thanks Mollie! I think I’m going to put a post together on how to do this braid as a lot of people have requested and honestly, it’s one of those I needed someone to totally spell out for me before even slightly getting it haha. Such a pretty maxi dress, and the dressier look is so gorgeous too!! Love them both! I love all of the outfits! The striped dress is my favorite because of the colors. Thank you Courtney! It is a really fun one for sure! Such a hard choice to pick a favorite!! That maxi seems perfect for my lifestyle though so I think I’d choose that one!! Definitely think you’d love it! So easy and breezy! Of course I love them both, and for different reasons!!! That gingham cami is adorable!! All these pieces could be worn so many different ways! Enjoy your Summer!!! Aw thanks Betsy! Totally agree, they are versatile pieces. Thank you gal! Hope you enjoy yours as well! Love both of these looks so much! So different and both perfect for summer! Thank you! Favorite of mine too! You look gorgeous in both outfits! These outfits are both so cute! I love the gingham top and white pants, looks so Summery and chic! Thank you Kileen! I’m excited to style them both more this season! 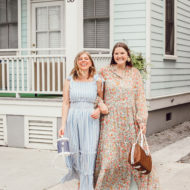 I love both of these, but I think the maxi dress is my favorite! Thanks Anna! It is a fun one for sure. DYING over that second look. Those pants are SO fun for you!!! Ah thank you lady!!! I am excited to style them more! Such cute outfits! I adore that maxi dress on you. I love both outfits ! It looks casual but fancy at the same time ! I’m lovin it ! Love both of these looks- that gingham tank and the white pants are so chic!